WASHINGTON – Japan has officially decided to procure the V-22 Osprey for its military tilt-rotor requirement, as well as the Global Hawk unmanned surveillance system and E-2D Hawkeye command and control aircraft. 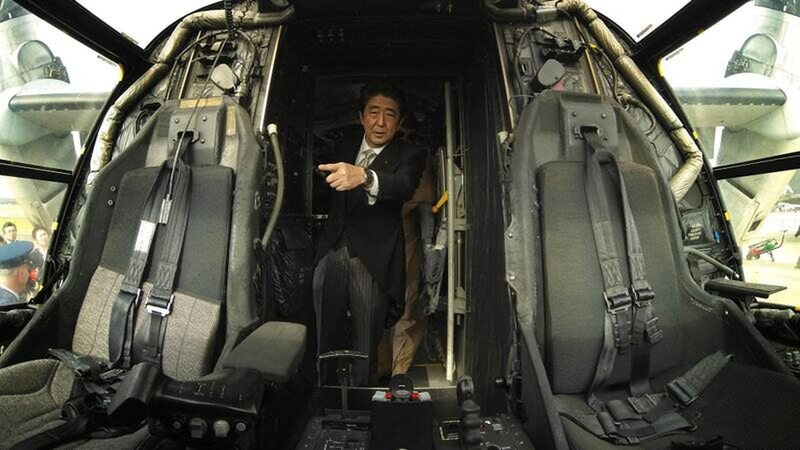 The choice of the Osprey, while widely expected ever since the country laid out a requirement for 17 such aircraft in its National Defense Program Guidelines, released in April, may have political ramifications for the government of Japanese Prime Minister Shinzo Abe. The choice of the Osprey was announced on the Ministry of Defense's website Friday. There does not appear to have been any other competitors for the competition. Designed by Bell Boeing, the V-22 is a tilt-rotor, multi-mission transport aircraft capable of moving 24 combat troops, 20,000 pounds of internal cargo or up to 15,000 pounds of external cargo. It is used primarily by the US Marines, which has a standing requirement for 360 MV-22 units around the world. US Air Force Special Forces currently operate 32 of the CV-22 variant. In a statement, Boeing spokeswoman Caroline Hutcheson said the Bell Boeing team was "honored" by Japan's selection and pledged to work with the US government to arrange the foreign military sale portion of the agreement. The Osprey has been highly controversial in Japan due to its reputation as an unsafe aircraft – a reputation earned after several public accidents in the early days of the technology. A recent appearance by the Osprey during Tsunami readiness drills drew a crowd of protesters. In late October, the Marines held an event in Japan, attended by Abe, to showcase the Osprey. "There are a lot of questions still regarding the MV-22 in Japan," Marine Maj. Giuseppe Stavale, a foreign area officer with 1st Marine Aircraft Wing, said in a service press release at the time. "We were able to explain to the prime minister and to those listening in about the capabilities of the aircraft and its safety." Navy spokesman BillyRay Brown said the service will work with Japan on a foreign military sales process. "Japan's announcement of the selection is validation that the V-22 meets its requirements," Brown said in a statement. "As the first production tiltrotor aircraft, the V-22 has proven itself capable in a number of roles. We look forward to continuing our support of the long-standing allied relationship between the U.S. Government and Japan." Depending on when the agreement goes through, Japan will be either the first or second international customer for the V-22. Israel has been developing a procurement plan that would involve moving production models from the US Marines over to the Israeli Defense Forces, but that deal is now under threat due to recent tensions between the administrations of US President Barack Obama and Israeli Prime Minister Benjamin Netanyahu. While the Osprey fills one requirement for Japan's military, two other holes were also filled. The MoD desired a high-altitude ISR asset and selected the Global Hawk, designed by Northrop Grumman and currently in use by the US Air Force. It beat out the Guardian ER design by General Atomics. Northrop also won with its E-2D Hawkeye aircraft, beating out Boeing's 737 AEW&C design for the right to supply command and control assets to Japan.